The MAZ- 537 is a 12-cylinder diesel engine-powered military truck artillery tractor, originally designed for loads up to 50 tons. Lego version of MAZ 537. Parts list does not include SBrick. Big scale and good detailing for shelf standing. 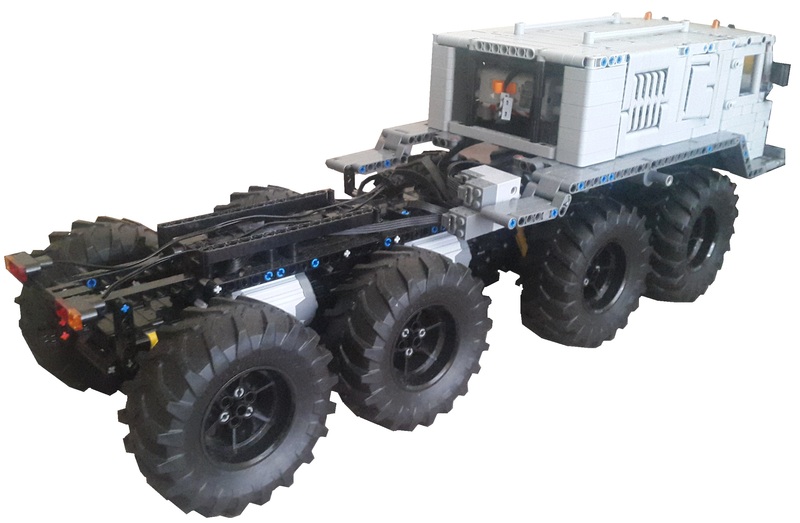 - if using SBrick it can use all 4 ports for control: driving and steering, winch control and lightning units. 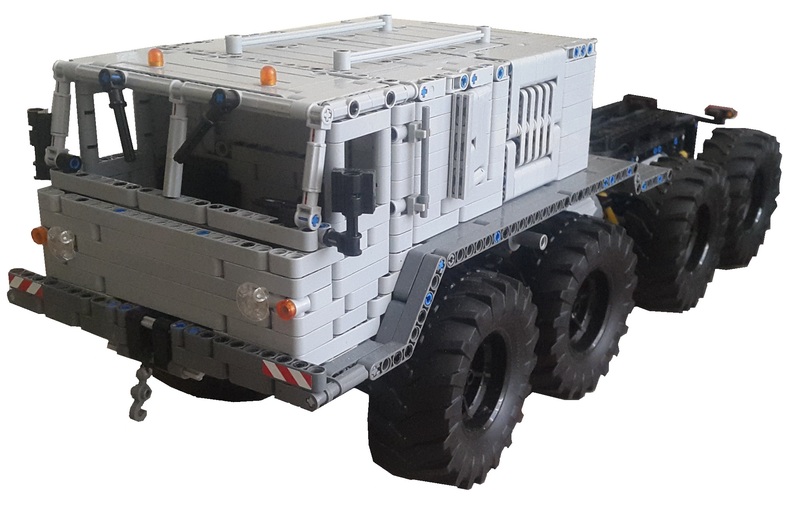 Model`s chassis based on chassis from Madoca`s Avtoros Shaman 8x8 with my improvements.